The Philippine Red Cross (PRC) supplied water to the Rizal Medical Center (RMC) in Pasig, which is among the hospitals affected by the Manila Water service interruption as the water level of La Mesa Dam drops to critical levels. Sen. Richard Gordon, chairman of the Red Cross, found out that the water crisis affecting Rizal Medical Center (RMC) through a phone call by Department of Health (DOH) Secretary Francisco Duque III. Immediately, Gordon dispatched two 12-liter and four 10-liter water tankers, which can load up to 64,000 liters of water per batch, to fill the hospital’s 145,000-liter reservoir. “The problem was formidable. We solved it by providing a pump that can fill the water tanks, which will supply water in the 450-bed hospital. This should help the patients who are vulnerable due to lack of potable and clean water in the facility,” Gordon said. Gordon said PRC is prioritizing hospitals to ensure that healthcare services will not be interrupted and to avoid health complications, such as sepsis, a type of blood infection that could worsen without proper sanitation. “We are ready to address the needs of the hospitals because we have water tankers that are capable of filling up a high-pressure water system,” Gordon added. To date, PRC has eight water tankers in Metro Manila, which is part of its complement of 20 water tankers nationwide. 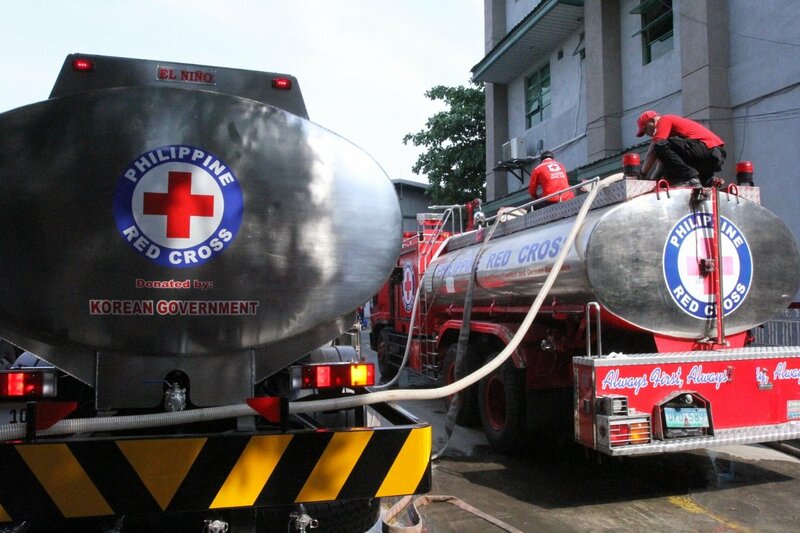 PRC is planning to acquire more 10,000-liter water tankers to assist other affected hospitals in Metro Manila. We are calling on the public to help us help more. For more information, you may contact Rizza Genil at (02) 790-2410 or Shervi Corpuz at (02) 790-2413 or +639178348378.